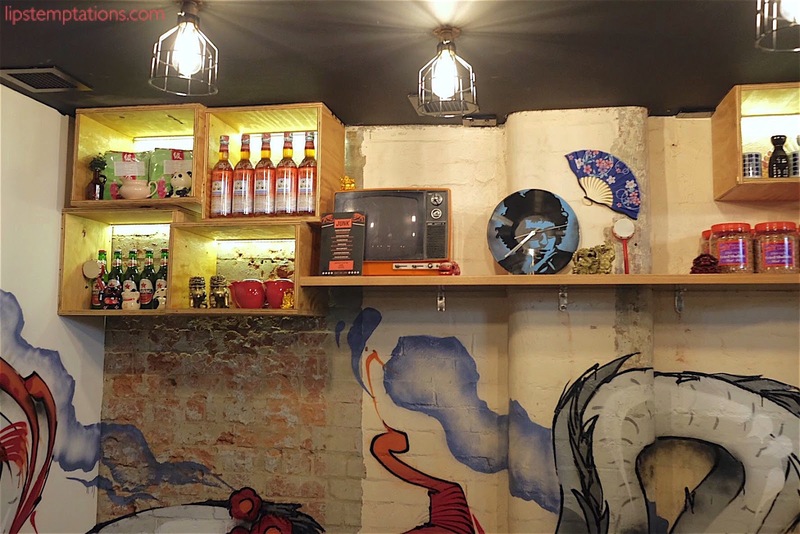 Junk is a brand new Asian casual dining, inspire by the iconic Asian street food, originally from Queensland. It will be their fourth restaurant, the first that's located out of Queensland. And they finally opened down here a couple weeks ago, making their Melbourne debut. 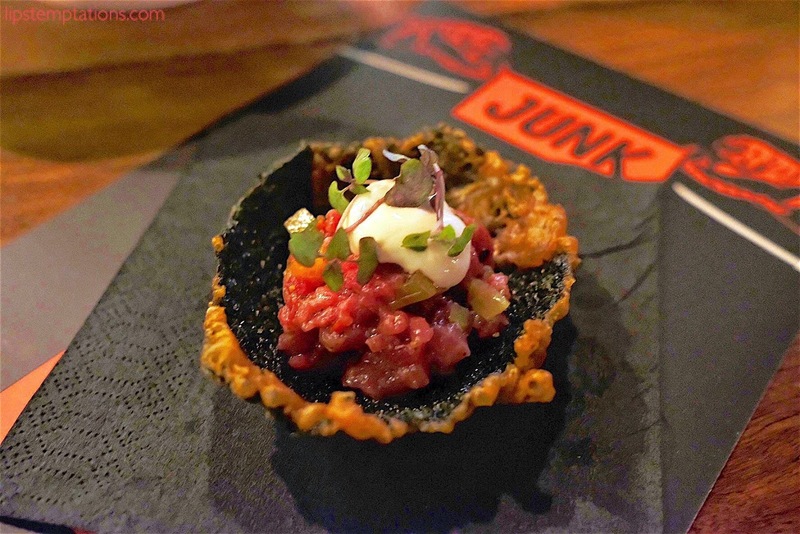 Junk is created by award-winning chef Tony Kelly and business partner Scott Hoskins. 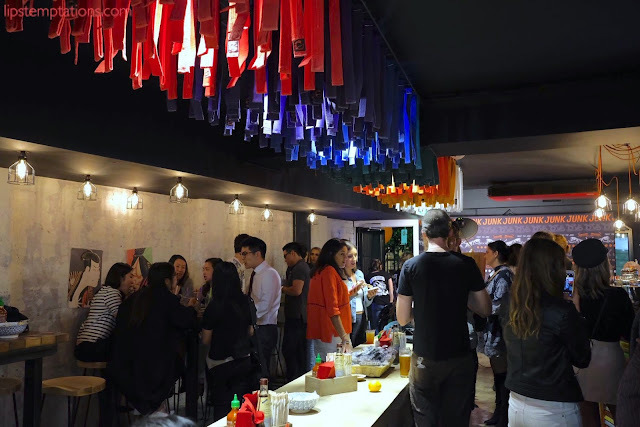 I was invited to their launching party and as usual I'm always excited to taste brand new Asian fusion casual dining. It's right on my alley. I have to say it was fun, they provided us a nail art stand from I Scream Nails, bubble tea, and photo booth. 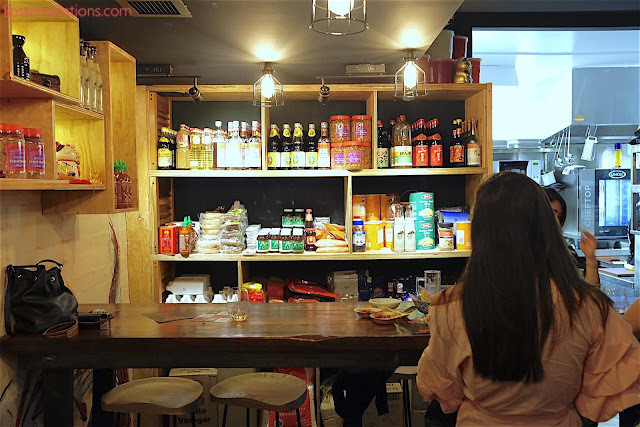 It's a medium size restaurant with unique decoration. They put diverse colour of martial art belt on the ceilings, small old television, books, variouskitchen ingredients and many more. As I arrived, the staff were completely friendly and welcoming. 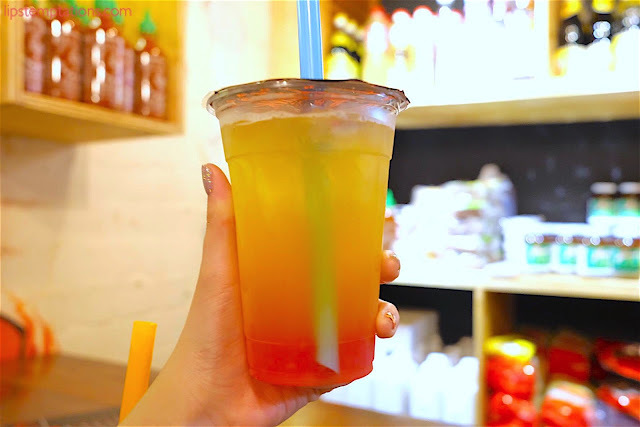 They offered me some drinks (champagne, wine, and beer), I tried their mango bubble tea with strawberries pearls. It is fresh with strong tea flavour and not too sweet. Fraser Isle Spanner Crab. 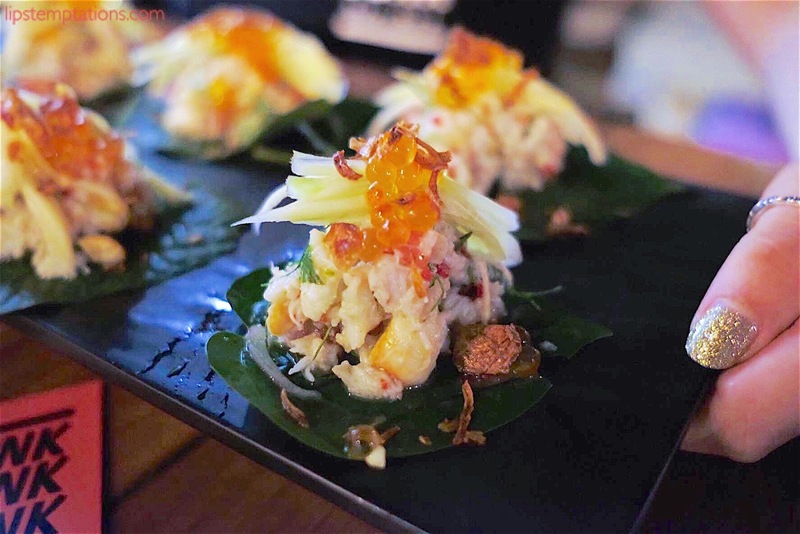 The dish contain watermelon, minced crab, and green mango on the betel leaf with roe and cashew on the top of it. It was slightly sour from the green mango combined with light minced crab and strong betel leaf flavour. It was an awesome bites for starter dish. I always love the betel leaf innovation dish these days. 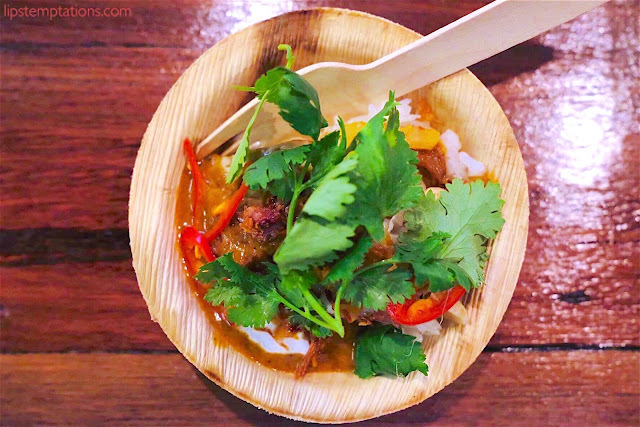 Beef Massaman - tender beef, fragrant curry, toasted peanuts, pineapple sambal and coconut cream ($19). The masaaman beef curry is just a normal beef curry with jasmine rice until it combined with coconut and pineapple sambal. The combination of heavy flavour from coconut and beef curry made the dish special, full of strong and lasting flavour. 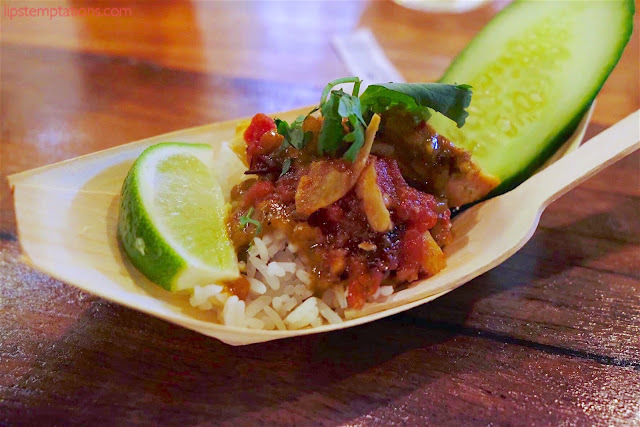 In addition, pineapple sambal and coriander leaf added a contrast refreshing flavour. 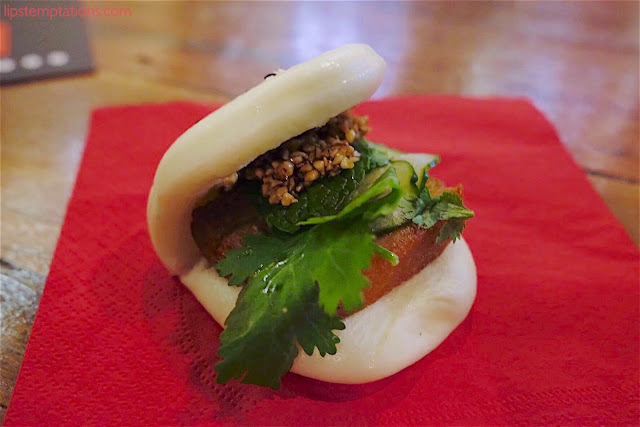 Steam Pork Bao - pork belly, quick pickled cucumber peanut soy ($15). This was a really good dish. 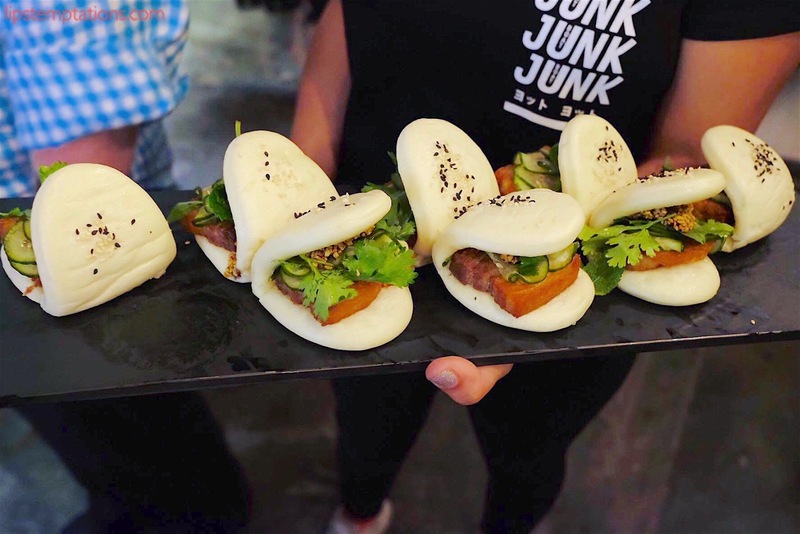 The texture of the bao was soft and the fillings was perfect with salty sweet peanut soy, semi-crispy pork, super fresh coriander, and cucumber. Chicken Satay - marinated free range chicken, satay sauce, spicy tomato and garlic relish with coriander and lime. Satay reminded me of Indonesia, where I originally came from. The chicken was tender with tasty peanut sauce and nicely end with the freshness from lime and cucumber. They also put roast tomato to balance the flavour. 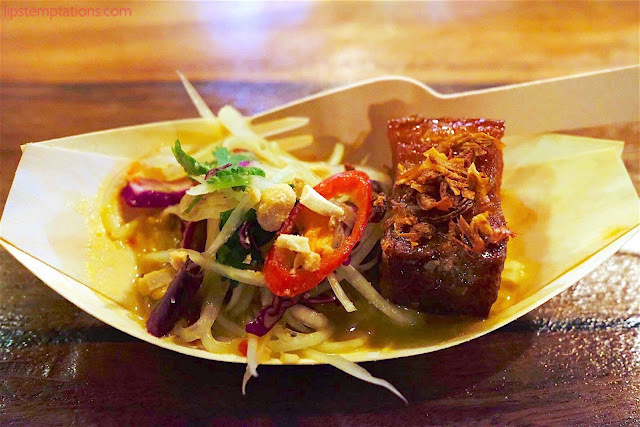 Crispy Pork Belly - in a kaffir lime, dark palm sugar caramel, laksa, green papaya and cashew nut salad ($19). The caramelised pork belly was delicious. It's crispy on the outside and juicy on the inside. 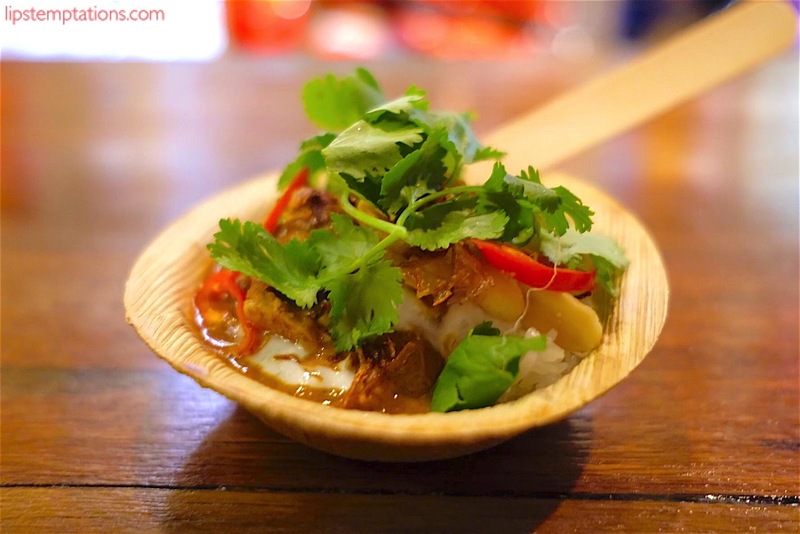 The umami from the pork belly and strong rich flavour from the laksa was very well balance with the papaya salad. Crispy Nori. This was addictive. Light, tasty and perfect snack in one mouthful. It's a deep fried seaweed with sesame mayo, crush beef tomato and coriander leaves on the top of it. Super tasty especially the seaweed with a hint of ginger from the crush tender beef and refreshing tomato. For the side dish they provided us with lotus chips which is a little bit spicy with salty herbs. 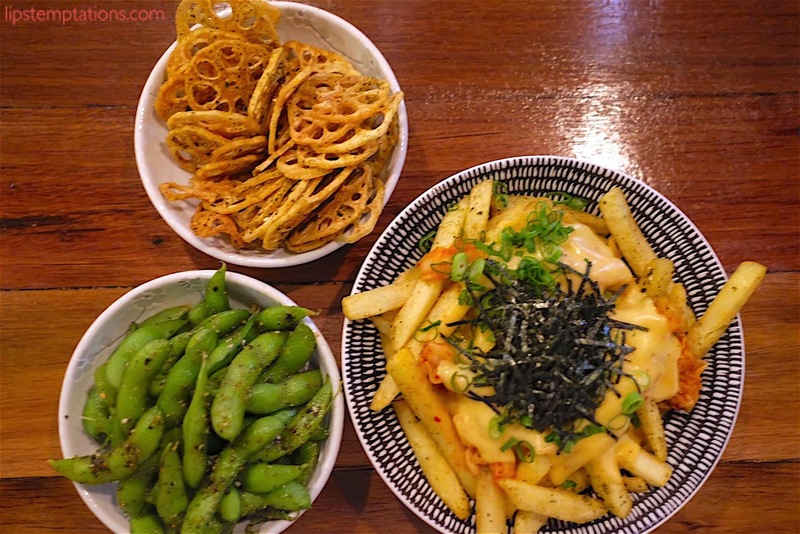 Edamame that has a good combination of spices and Gangnam Fries which is french fries with melted cheese, kimchi, roasted seaweed, and spring onion. It were all a great sides to be honest. 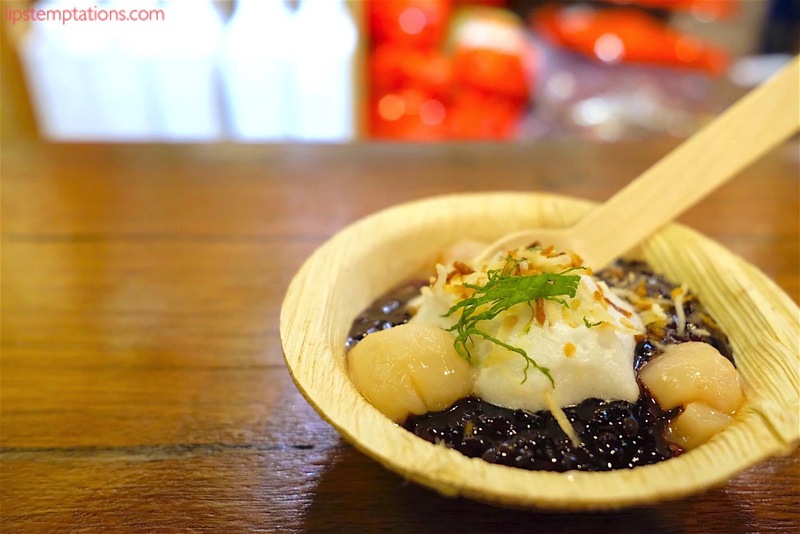 Thai Black Sticky Rice. The origin of the sticky rice is from Thailand. 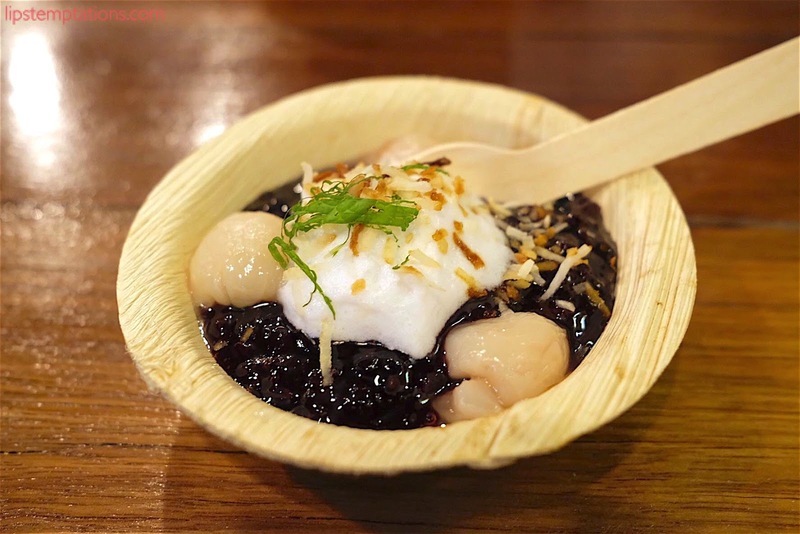 This dish has a black sticky rice with candied coconut, spiced lychee, and mints. This dessert is quite too sweet for me because it doesn't have any fresh element except the mint leaf to balance it, maybe mango would balanced the dish a lil bit better. Disclaimer, all the sizes provided in this event are sample size but the price provided in this post are their regular price. 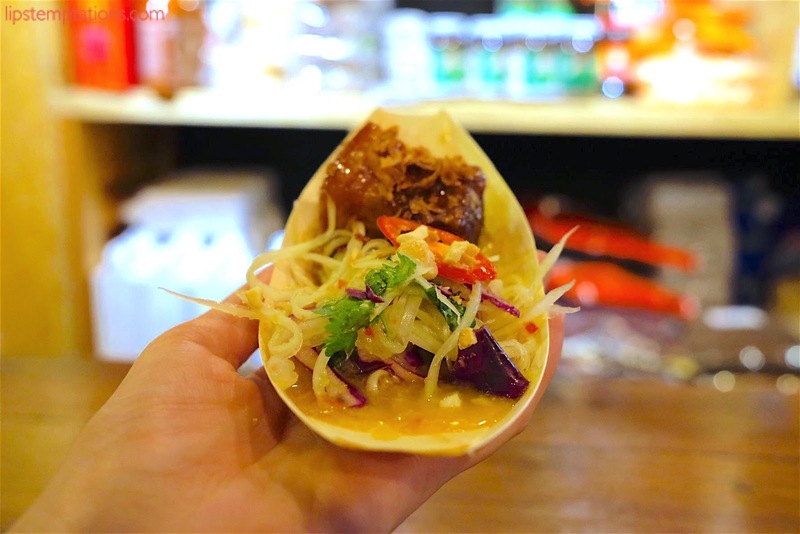 In the end, another Asian fusion casual dining has arrived in town and I welcomed Junk with an open arms. Looking forward for the next innovation.